Calvinism and Arminianism…Enemies or Brothers? Calvinism and Arminianism…Enemies or Brothers? I love theology… everything about it. The spiritual pursuit of biblical balance by studying and evaluating various verses relating to sound doctrine ignites a passion for truth every time I engage in it. However, as much as I love doctrine, I love Jesus even more! Now, before someone blows a gasket with my last statement, let me say… Jesus can not be reduced to or separated from the disclosure and proclamation of propositional revealed truth. Truth exists, it is universal, it is absolute, it is knowable, and it is descriptive through language. However, for Christians, truth is also embodied in the person and character of Jesus. When our proclamation and defense of truth abandons the character of Christ, we have failed to biblically proclaim the message. This fact is undeniable. (1Jn. 4:8) And yet, it happens frequently when immature Calvinists and Arminians discuss biblical doctrine. One line zingers and arrogant proclamations against each other seems to be much of the norm, even between those who should be an example because of the responsibility they have in leadership. Some Calvinists wield the ‘pelagian’ or ‘semi-pelagian’ tag against Arminians with a high minded sneer and smirk. Likewise, Arminians use the ‘fatalism’ tag with equal disdain. When this happens, neither side understands the other one. The use of these tags are revealing truths of the immature character of the one using them. And yes, this includes some of the ‘big leaders’ from each camp. Calvinism and Arminianism are the two opposites of the circle we call orthodox evangelical Christian doctrine. Both embrace sufficient explanations of the major points of theology. They are not enemies…except in the contention of those who love division. I like to think of it this way: Calvinists focus on the Sunrise of the life of a Christian… the things which happened before any of us knew it. Arminians focus on the Sunset of the life of a Christian… the things which are certain as our life ends. I know this is over simplification, but let us attempt to walk in the light of the noon of day; that is, equal distance from the sunrise as from the sunset. Balance is always beautiful! The joys and rigorous discussions of these two major views of doctrine are really just family discussions. They are not necessary or profitable for outreach and evangelism, as the mystery of God’s Sovereignty and Man’s Responsibility are both present when we share the Gospel. I’ve seen unbelievers bait evangelists with unnecessary questions which were aimed at creating heated arguments. Keep family discussions within the family. Let outreach focus on man’s need, God’s provision through Jesus, the gospel call of repentance and faith, and the faithfulness of God to save all who respond by grace through faith. Avoid the traps, recognize the bait, keep the deep discussions within the family and clearly preach the gospel to the lost. As we seek to reach the lost and plant churches, our focus should be to get in alignment with the invitation of the Holy Spirit to the sinner! OK. Your turn…agree or disagree? Great post, Terry. Unrelated: I see the photo of Meridian, MS. What’s your connection? I was born there, I still have a lot of family there, and my parents own a house there. That’s my home. Although this may be an over-simplification, I think it is the best explanation I’ve read to describe the relationship between Calvinism and Arminianism. Terry, I want to echo Eddie’s comment. I like this image for an explanation. Good thinking. I’ll probably end up quoting you on this one. 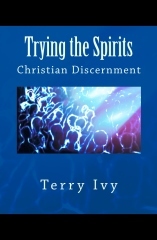 Can you explain your purpose in emphasizing ‘Spirit’ and ‘bride’ in that verse? Agreed. And, Truth is Christ. I have some equally beautiful quotes from Wesley on Arminianism, but you missed the point! My article is not about what each camps says about their own position, but about their view of fellowship, respect and what they say about the other camp. Plus, I do not see either Spurgeon’s or Wesley’s name in Scripture. They were both dear brothers and godly men who have entered their reward, but their writings, as wonderful as they are, are not God’s Word. Thanks for your input, but please stay on topic. The keyword in this post is balance. Balance is a result of spiritual maturity. Balance allows us to put aside our biases and work toward the greater good, expanding God’s kingdom here on earth with the proclamation of truth which is the Gospel of Jesus. Thanks for your view point as it is of edification. Good post. I tend to enjoy the sunrise myself, but in saying that I 100% agree we should (as brothers and sisters in Christ) be able to live in peaceful fellowship, regardless of which “side” you are. The bottom line is what do we believe about God, about the truth of salvation, how are we applying such truths to our lives, and how are we winning others to the Lord. Regardless of sunrise or sunset, Jesus has commanded us to go and tell the Good News. I feel like if we do what He has commanded us to do and we are faithful…He will take care of the rest. People sometimes get so caught up in these 2 camps and make the Gospel more complicated than needed in my opinion (Arguing over chosen and free will etc…) but I think people tend to over complicate things by being so emphatic about being “right” that they forget the big picture. And people lose sight of the great commission etc… so I agree we should be able to live more peacefully. Doctrine and theology is wonderful and great to discuss. But as long as no one is contradicting Scripture or twisting it to fit their sunrise or sunset views, then we should be able to discuss and live in peace. Well said! BTW, since your phone kept ‘sending’ before finishing your comments…I took the liberty to combine your three posts into one! Thanks for your input and I love your statement about how the 2 camps “make the Gospel more complicated than needed.” I believe you are spot on. I’ve never had a person desiring to surrender their life to Jesus, ask me what I believed concerning ‘election, free will, the sovereignty of God or responsibility of man.’ They just simply wanted to repent and surrender to Jesus as Lord and Savior because they realized they needed a redeemer and that Jesus died for them! We are all to be ‘fishers of men.’ When fishers don’t fish they fight. Daniel, excellent example from light. 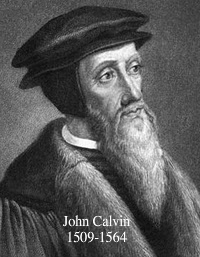 Most Calvinist do not ‘really’ know what Arminians believe…they only read what other Calvinists say about them. 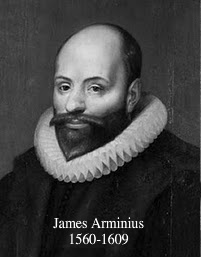 Equally so, many Arminians have not actually read Calvinists, but have only read what other Arminians say about them. (Much immaturity on both sides…including many of the leaders.) Also, I love the answer “yes!” We will have to plan another day to visit when we can escape with more time to discuss many issues and I’m not just “flying through town” for a quick hour. The Gospel is what separates Calvinists and Arminians. Arminians say that preserverance of the believer is not a promise of the gospel, Arminians say that it is possible for those who are “in Christ” can get out of Christ, lose ones salvation, myself as a Calvinist see that type of “gospel” as bad news not the gospel. Calvinists as myself see preserverance of the saints as a promise of God and it is part of the Gospel, we see that those are in Christ cannot come out of Christ, because God will keep us, because God will cause believers to continue in the faith and cause believers to bear good fruit. Arminians and Calvinists have 2 different Gospels, bottom line we worship 2 different Christ. Joseph, I accepted your comments as an example of what biblical ignorance looks like for those who read it. It is fine to be a Calvinist, but to say that Arminians worship a ‘different Christ’ reveals your lack of understanding of the gospel and a very high-minded and ignorant view of your own persuasion. You just condemned men like John Wesley, Chuck Smith, David Wilkerson, Leonard Ravenhill, E. M. Bounds and millions of others to hell for not believing like you do. In short…grow up! Your narrow-minded view of what does and does not constitute salvation is a perfect example of much of what is wrong among many unlearned Calvinists and unlearned Arminians. That is, thinking their own theological bent has the inside track to Christ. I hate being so blunt, but your post demands a firm response. I see that we are called to preach the good news or the gospel to all in Scripture.Controversy’s occur when man says We did it and as ephesians 1 and the old and new testament state it was not by works but by grace through faith in Christ. To not see God is the sunrise and the sunset and it’s all about His glory is to take away from the nature of God. True many on both camps don’t have a full understanding of the Bible and the explicit message of .Who are you old man to question God! Are we to say He is unjust? By no means! He can do as he wills with the same lump of clay,one for honorable use and other for dishonor. God will sanctify His people through a donkey or Joel olstein but they need to grow and mature and give all praise and glory to the God of the universe. Yeshua! We are so depraved our very sin nature causes us to pervert Gods word and live our best life now. We need to be on our knees praying and reading and growing in the knowledge of Christ and get off the man train and go back to the fundamentals of the attributes of God and the depravity of man in Scripture and see the sun rises and sets by the one who made it and decreed it by his voice! The ones who hate the truth are ones that live a lie.both camps need to focus on Gods in control and we are created tangible fallible man.